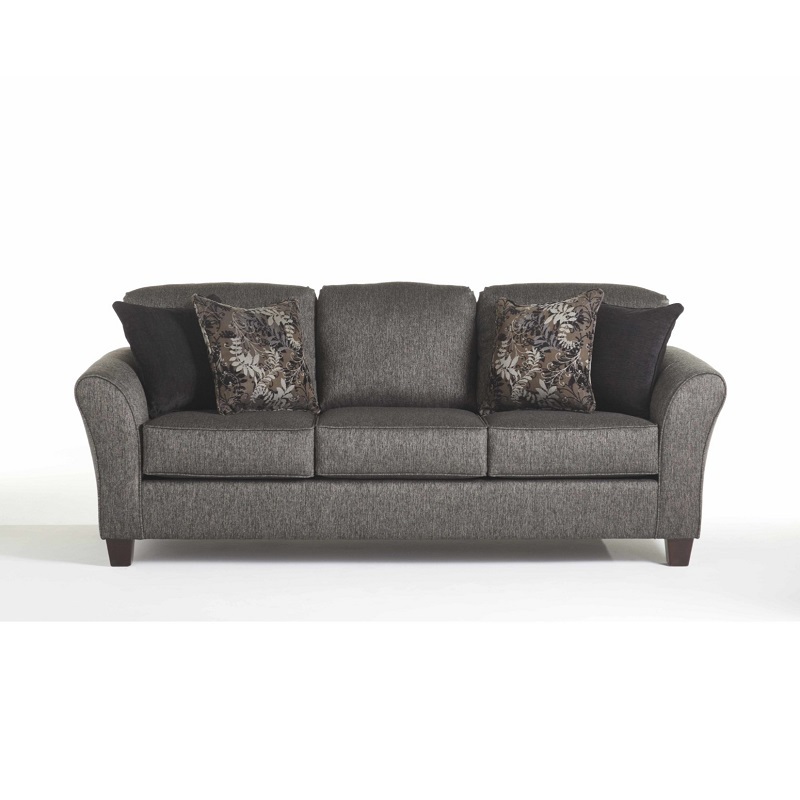 This lovely gray sofa by Serta will make a great addition to your living room. It features t-style back pillows, box style seat cushions, tapered arms and block tapered feet in a dark brown finish. Four accent pillows included and plenty of comfort. Look for matching loveseat and chair.